Clip-on ties are not usually considered to be the epitome of high-class. Oh how wrong that is! 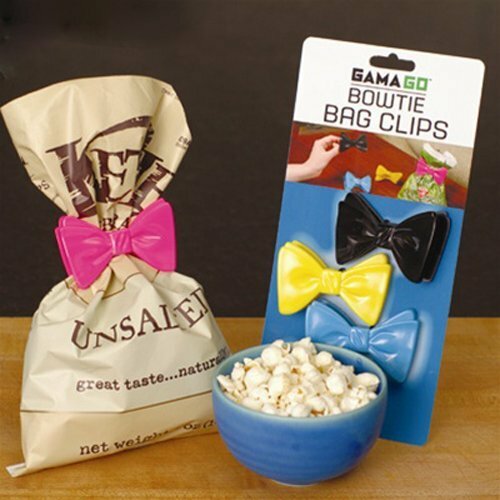 The Gama-Go Bowtie Bag Clips combine high style and salty snacks. These clip-on ties not only ooze class and style, but they also keep chips and the like from going stale. Considering that the greatest social faux pas is serving stale crackers with a cheese ball, these things might just be the height of refinement.